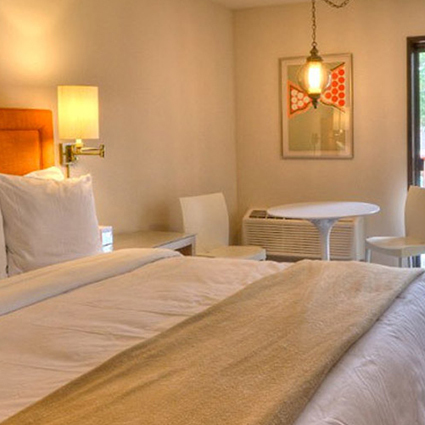 Located on 14 acres the hotel boasts panoramic views of the surrounding mountains, intimate courtyard patio and spacious 2-room suites featuring: in room coffee and tea . 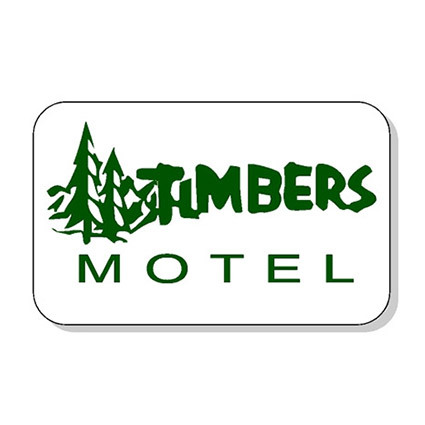 . .
Ashland's Timbers Motel has been the pick of Theatre-goers & Southern Oregon University Parents and Students for over 40 years! 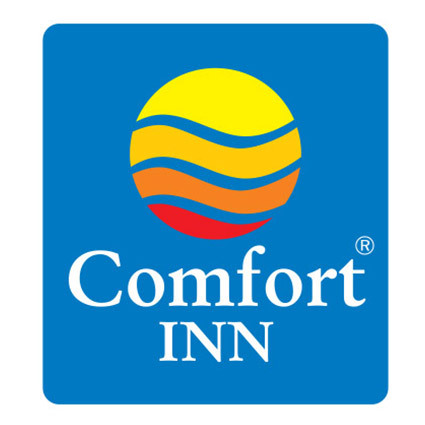 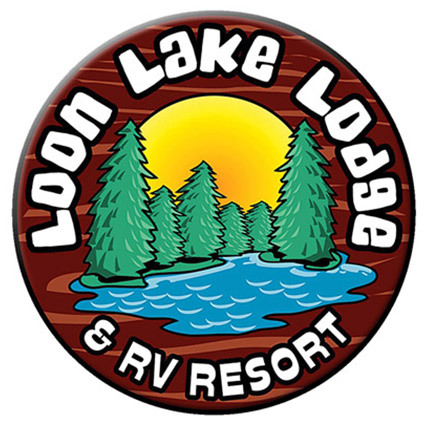 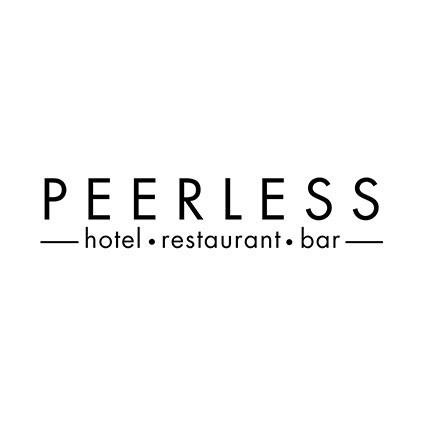 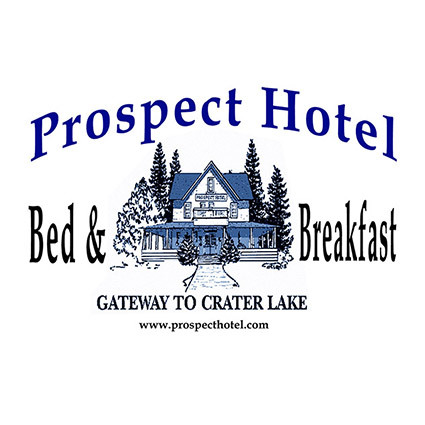 It's pure comfort, Free Continental Breakfast, Free Wireless Internet, Extended Cable TV, Pool & Deck a variety of restaurants & coffee houses as well. 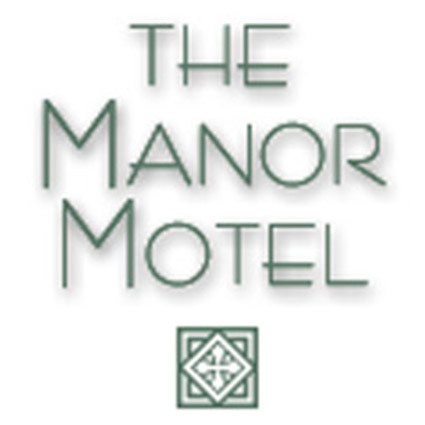 Our rooms range from regular Queen rooms to King & 3 bed Family & Full Kitchen Suites! 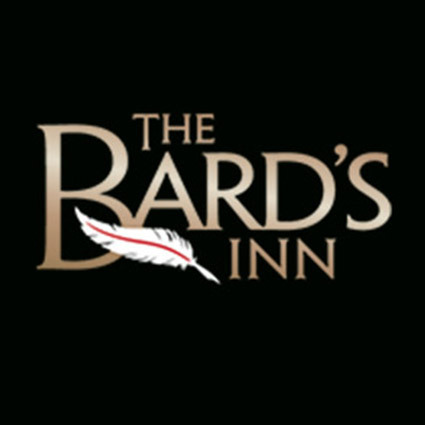 The Bardâ€™s Inn first opened to guests in 1987. 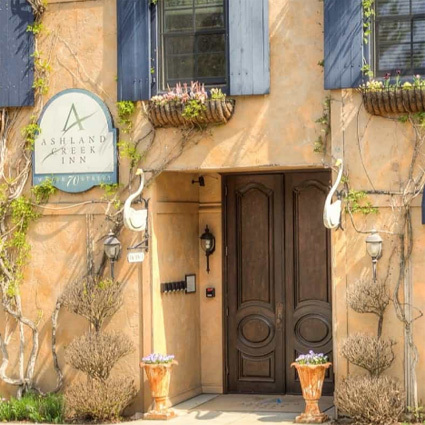 Over time, the property was expanded and renovated, and we now house four unique buildings â€” Verona, Sonnet, Juliet, and London. 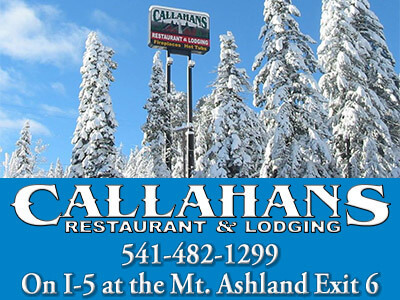 Each has been designed to fit every Ashland visitorâ€™s unique needs. 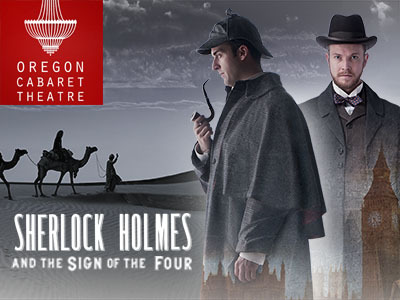 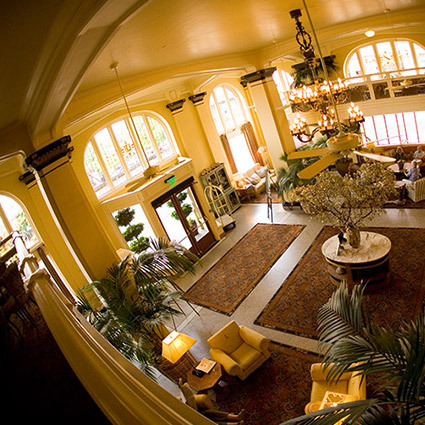 Just one block from the Oregon Shakespeare Festival in the heart of downtown The Columbia charms guests with its skylit lobby, beautiful woodwork, organic locally-roasted coffee and aromatic teas, thoughtful touches, and outstanding location. 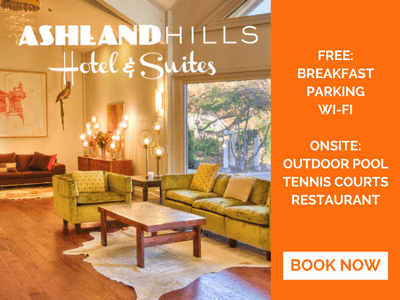 Explore Lovely Ashland, Oregon from Hotel's Location . 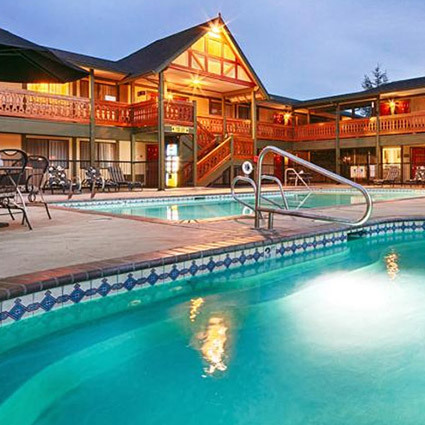 . .
Conveniently located across from Southern Oregon University, Palm Cottages offer the opportunity to step outside of the ordinary. 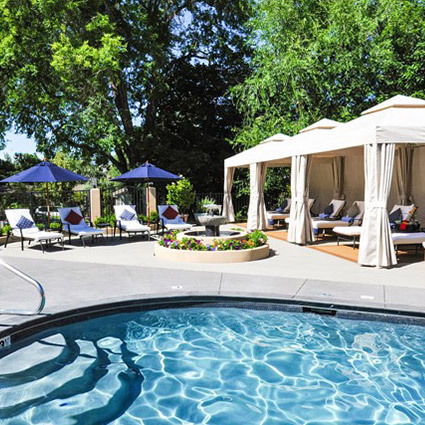 Guests enjoy award-winning gardens, mature trees, and lawn seating areas that are as welcoming as they are comfortable. 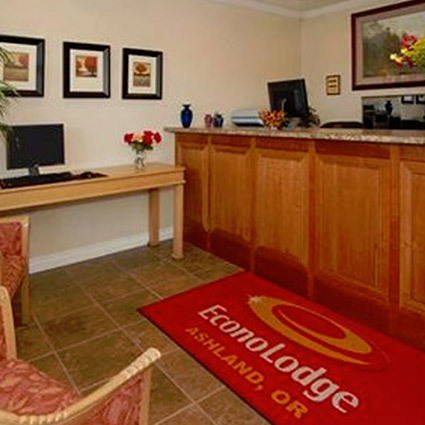 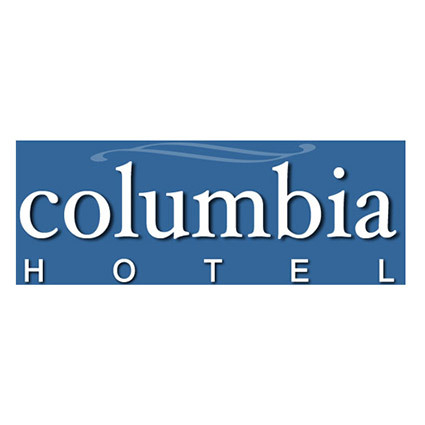 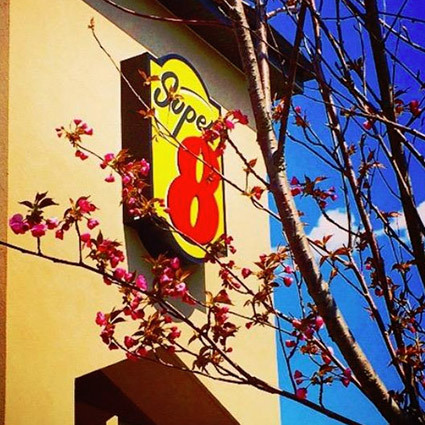 Nestled in the heart of downtown Ashland you will find the area's premier lodging facility. 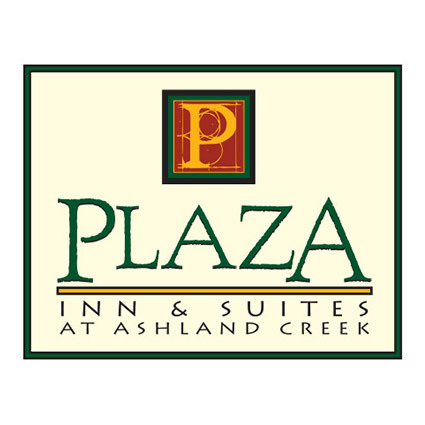 Plaza Inn & Suites at Ashland Creek. 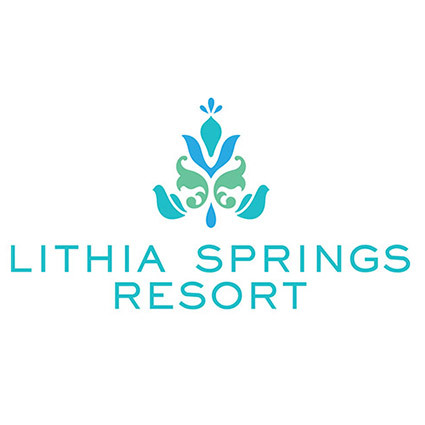 We offer guests a unique experience they won't soon forget! 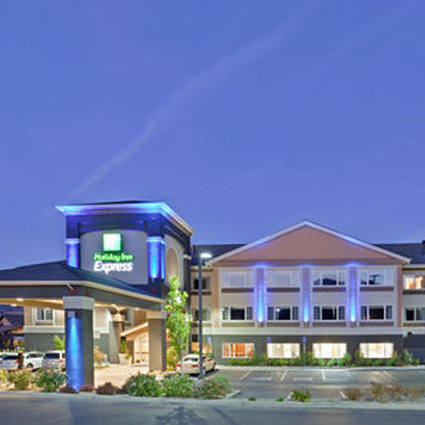 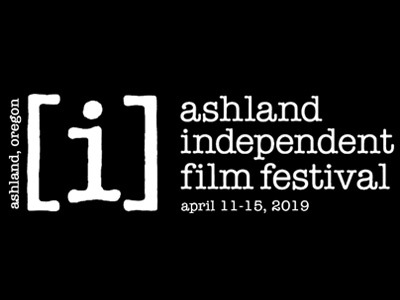 With elegant furnishings and charming atmosphere, the 91 room upscale property will couple small town hospitality with the sophistication and culture Ashland has become world famous for. 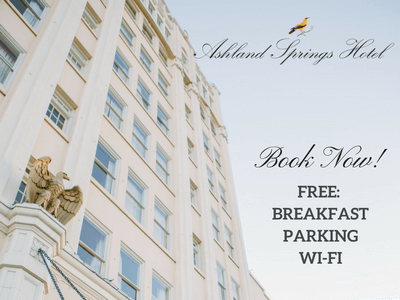 Celebrate the grand opening of Ashland's First Eco-boutique Inn! 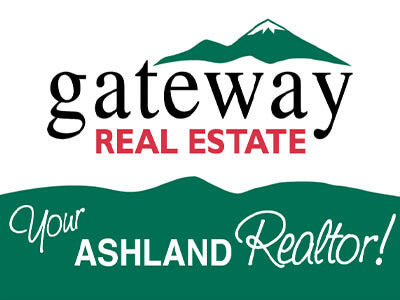 This historic home, built by one of Ashland's founders, is located one block off of the business district and four blocks from Shakespeare.